When choosing tactical police boots, there are a few key features to consider before making a purchase. First, your boots need to provide you with optimal support. They have to support your foot properly so that, your feet will tire more slowly. Next, consider comfort. Support and comfort should go hand-in-hand. Look for those shoes you actually enjoy wearing. You also have other options to think about such as boots designed to last longer and provide advanced performance. Other key features you may benefit from include antistatic, slip resistance, and a lightweight design. Some are ASTM certified. The best offer all-day comfort to you. When you are in the market for new shoes, find out how well they can support your feet. When your life is on the line, and people are counting on you, you have to be able to rely on your footwear. At HAIX®, we understand your need for boots and work shoes capable of responding to the conditions you face daily. 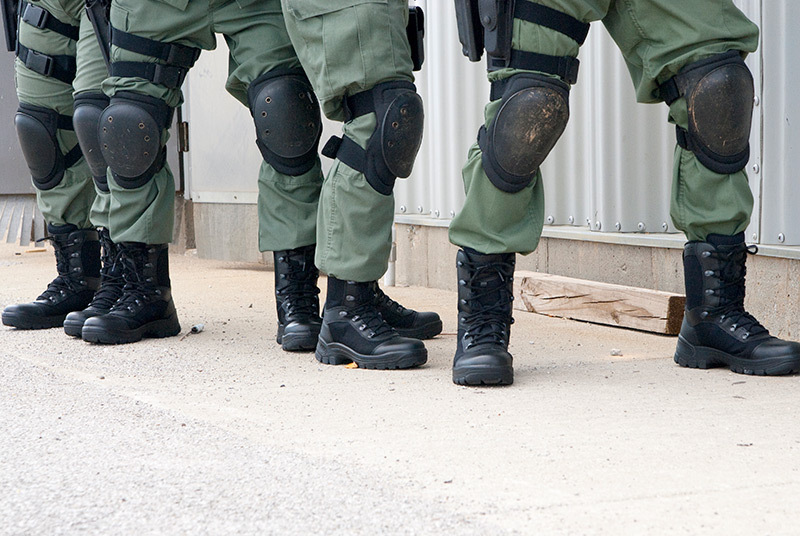 For your tactical police boots, rely on us for cutting edge, high-quality solutions that can meet any need. Purchase your boots now or contact us with questions.